Manufacturer of patented roof top attachments for the solar industry racking systems. 70% of commercial rooftops in the U.S. are unable to structurally support the weight of ballasted rooftop systems. 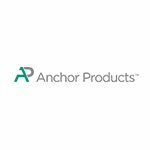 Anchor Products has partnered with major roofing manufactures to ensure that our U Anchor products are compatible and acceptable for all types of roofing installations.